The Toughest Broaching Material Available With No Extra Cost! 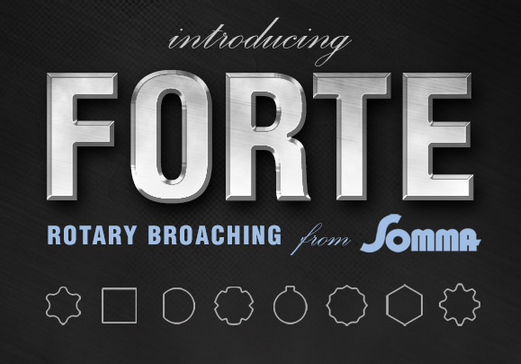 New this year, Somma Tool Company is the first manufacturer in the industry to make all of its broaches from Forte, the toughest material available, instead of commonly used M2 high speed steel. Get reduced chipping, increased tool life and more versatility at no extra cost.